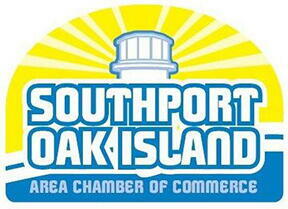 Southport-Oak Island Chamber of Commerce Donates Shirts to Planet Aid - Planet Aid, Inc. The Southport-Oak Island Chamber of Commerce and Welcome Center located in Southport, North Carolina recently donated boxes of T-shirts to Planet Aid. The T-shirts were extras from the organization's annual Lighthouse Run event. Mitzi Swing, an Administrative Assistance at the Chamber of Commerce and Welcome Center, reached out to Planet Aid to take the donation of the unworn shirts from last year's event, along with other events in which there were shirts leftover that weren't given away or sold. Since Planet Aid does not service the Oak Island area, Mrs. Swing graciously shipped them to Planet Aid's local office in North Carolina.